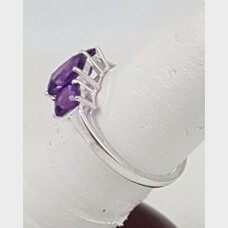 This beautiful sterling silver ring has 3 beautiful individual purple amethyst stones; a classic, si.. 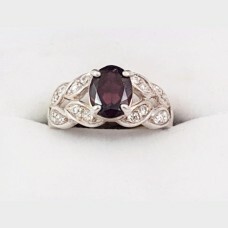 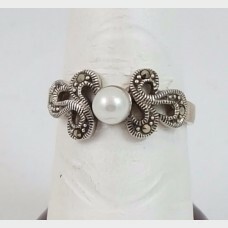 This beautiful sterling silver ring has a red garnet in the middle surrounded by small cubic zirconi..
Intricately designed sterling silver ring with a simulated pearl in the middle. 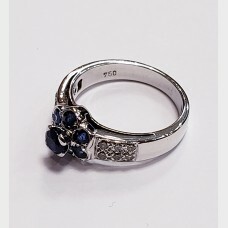 Pre-owned and a size..
Lovely pear shaped simulated blue sapphire set in a rose, yellow and white gold rose and leaf settin..
Beautiful 14k ring with 7 small round opal stones all held in an intricate setting. 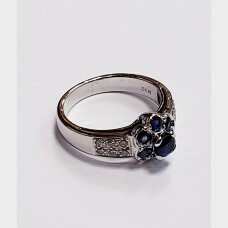 The ring weighs ..
Blue sapphire7 stones set in a flower like shape, all held on a diamond encrusted bandThe ring weigh.. 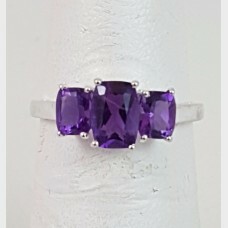 Stunning 18 K yellow gold band that holds 3 small square shaped amethyst stones and 4 small diamonds..
Pear shaped amethyst stone18 K yellow gold setting The ring weighs 5 gramsSize 5.. 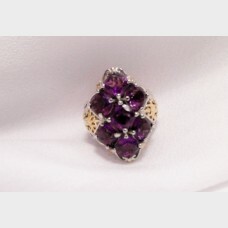 Unique 18 K yellow gold diamond ring that features one single oval shaped turquoise stone set in the..
Sterling Silver and Cubic zirconiaSize 7.255 ozt..
Pre-owned purple amethyst and sterling silver ring with vermeil accents. 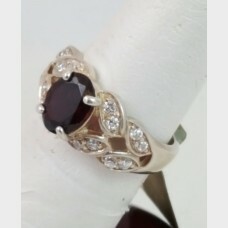 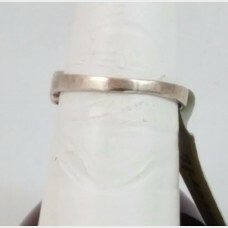 This beautiful cluster ring..
Sterling Silver and smokey quartzSize 7.31 ozt..
Charming sterling silver and 18 K yellow gold accent Tiffany and Co. ring. 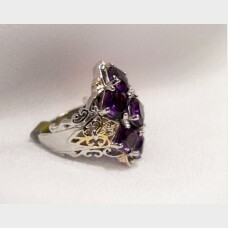 The ring weighs .08 ounce..
Beautiful vintage ring that features 5 oval shaped opals and a pearl center creating a flower shaped..